At 18 tonnes gvw, 4×2 chassis fitted with hookloader bodywork are rare. 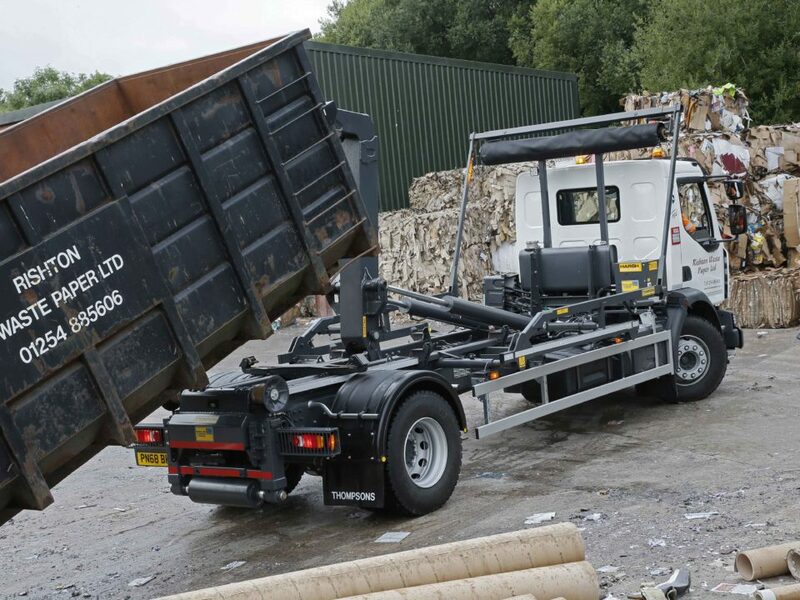 Yet for Lancashire – based Rishton Waste Paper, this is the specification of the latest vehicle to join its fleet – and it’s already proving to be an ideal solution for its particular application. 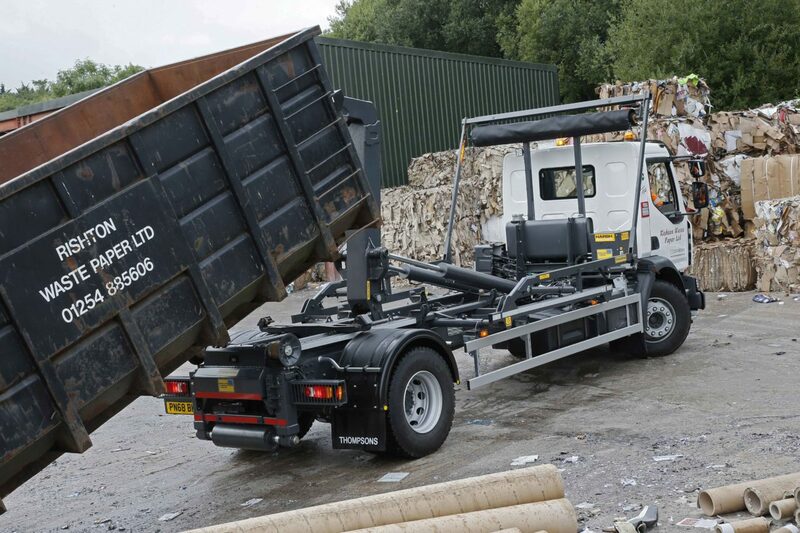 Fitted to a brand new ‘68’ registration 5300mm wheelbase Renault D Series chassis, the HARSH HH14 ‘Z frame’ hookloader unit provides a 14 tonnes lift capacity along with the ability to handle a full range of demountable containers up to 20ft in length. Equally significant is that the unladen weight of this particular Renault / HARSH combination is a highly competitive 8720kgs, thereby affording an easy 9 tonnes plus allowance for the container and its payload. 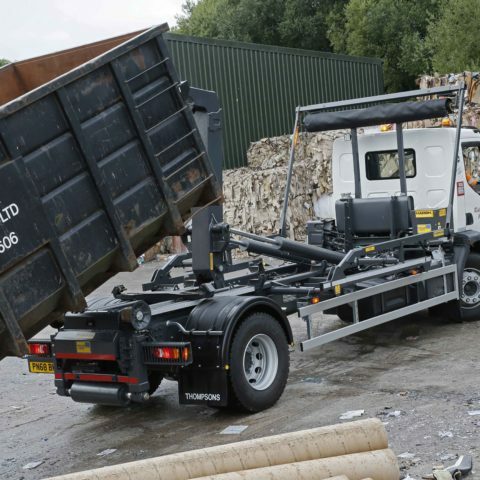 “This is a new type of vehicle for us” says Rishton Waste Paper’s director Billy Braysford. 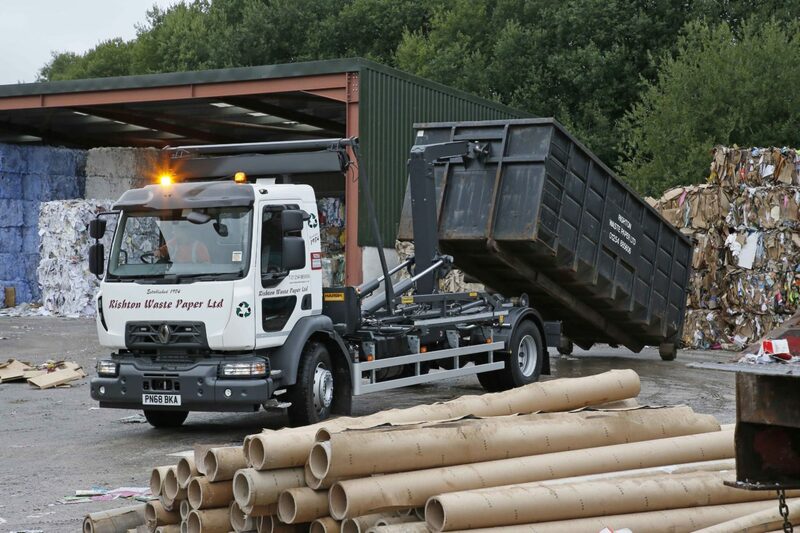 “The truck’s primary job is collecting paper, cardboard and packaging from local factories and retailers – and this sort of payload is much more about volume than weight. Even with a big container full of cardboard we’re not reaching the 18t limit, so there’s no need at all to send out one of our bigger six wheelers on this type of work. 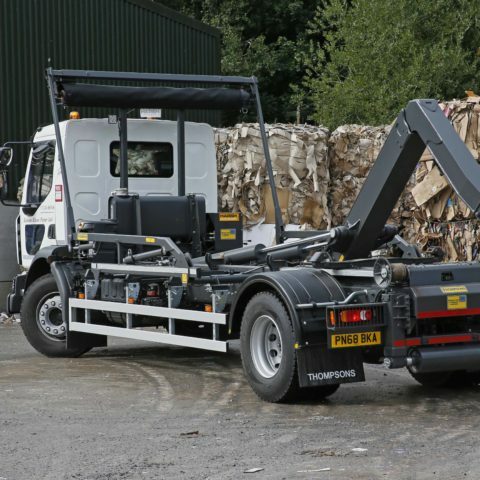 With HARSH and Renault supplying the key chassis and bodywork elements, all installation, fitting out and completion of the new truck was done by Thompsons ServiceTech in Blackburn. 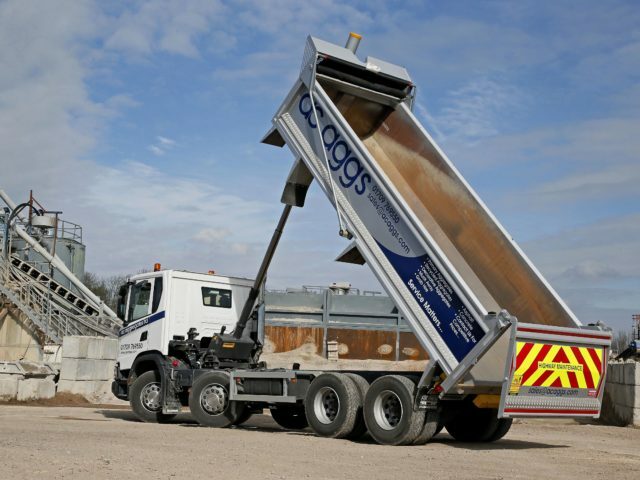 For Rishton Waste Paper, their HARSH hookloader breaks new ground in other areas too. 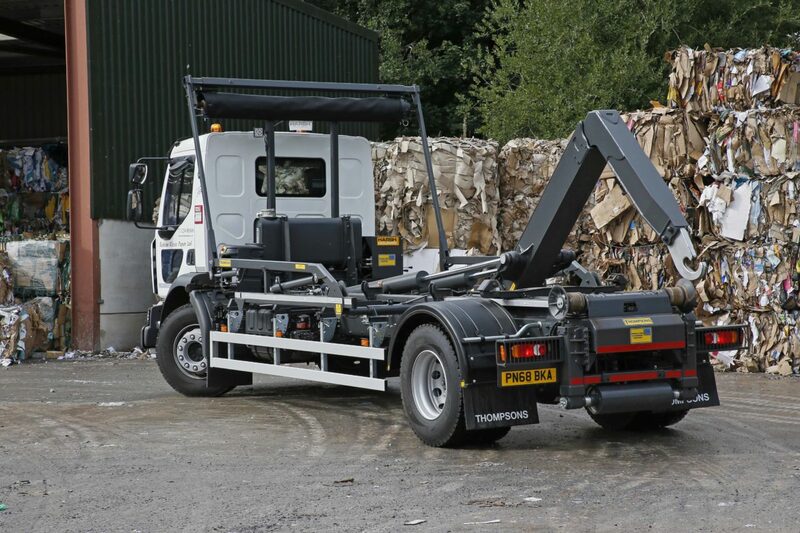 Previous trucks in the fleet with demountable bodies have used the cablelift system which, compared to the HARSH HH14 is slower, more complex and difficult to operate. Driver Mark Ackers notes “the HARSH hookloader is a real step forward. It’s really easy to use, and what’s particularly good is that the in-cab control box only lets you operate the system in the correct sequence. 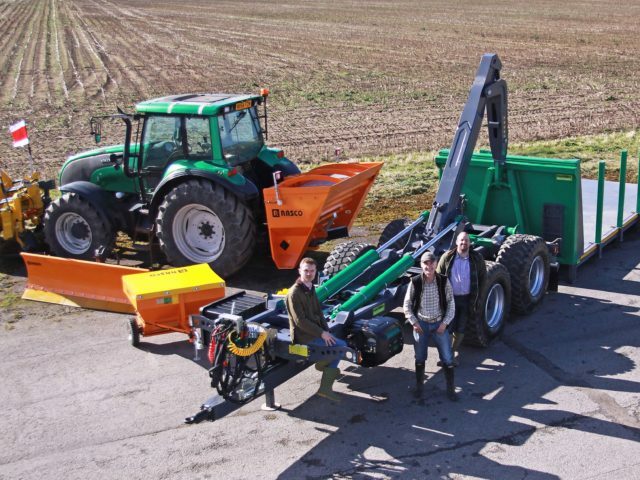 You can’t, for example, start moving the container off the chassis before you’ve fully retracted the sheet. 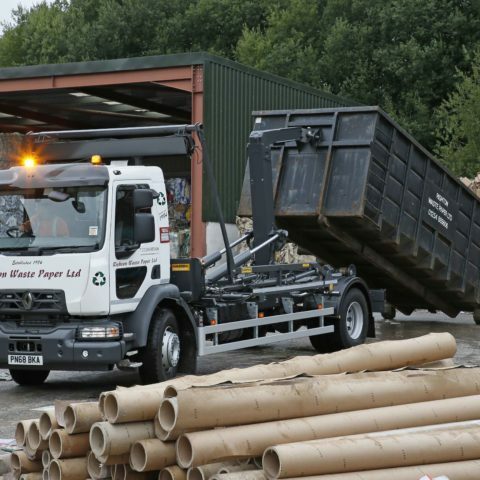 Started in 1984 with just £1,000 in capital, Rishton Waste Paper has grown to be one of East Lancashire industry’s real success stories, growing year on year to its present position of occupying an extensive site complete with additional facilities to recover metals and plastics. The company then exports a large proportion of its products for reprocessing in China and other Asian markets.